The London Lucumi Choir was formed in November 2006 by Martha Galarraga and Daniela Rosselson De Armas with the help of percussionist Dave Pattman. Martha Galarraga is one of the most important female Akpwon’s (ceremonial singer) of her generation. 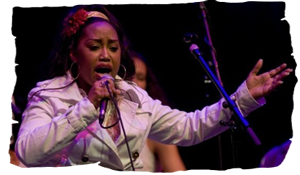 She was also the lead singer of the Conjunto Folklorico de Cuba for many years and had been teaching songs to the Orisha in England with Daniela for many years.The feeling of wellbeing and Daniela’s passion for vocal arranging led to the formation of the choir. Javier Campos Martinez became the Director of Percussion between 2008 and 2012 and co produced the first album by The Choir. Javier Campos Martinez is legal heir apparent of master drummer Regino and also Omo Aña (sacred master drummer) He is the owner of two sets of Fundamento drums. One of which played the first sacred drum in the UK on 09/02/09. Javier is one of the world’s most prominent performer of the young generation of Batá drumming and other genres of Afro Cuban Percussion. He has taught at the ‘Instituto Superior del Arte’ in Havana and the Conservatory of Rotterdam. Tours brought him all over Europe as well as Peru and Venezuela. Javier recorded for Pan Records Via Records and World Network. 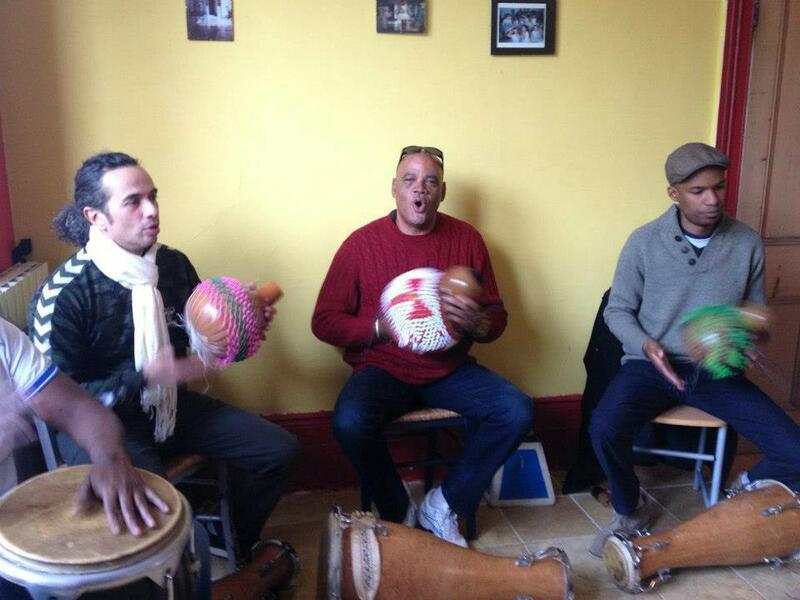 Javier taught us a lot during his time with Choir and introduced us to songs from different Afro-Cuban traditions. Gerardo De Armas: spent time with us teaching us Rumba and Palo Songs and features on our first and second CD. Gerardo has sung, toured and recorded with Legendary Groups such Irosso Oba and Yoruba Andabo and has been in London for ten years, performing Rumba wherever he goes. Marcos Yosvani Diaz Herrera, spent 8 months with the Choir as a mentor. He taught us song sequences, licked us into shape and kept our percussionists on their toes. His knowledge has been a precious gift. Known to all as Yosvani, he is better known for his work in Cuban top Rumba Group, Rumberos De Cuba. He is also an Akpwon ( Ceremonial Singer) In the Santeria Tradition and is the owner of two sets of Fundamento Bata Drums. Choir members have grown in number and range from 5 years of age to 70. Members come from all walks of life and do not have to audition to join, or be practitioners of the religion although some members are. Over the last 11 years, the Choir has gone from strength to strength. Performing, holding workshops, collaborating with other artists, recording and generally having an awful lot of fun! They have rehearsed mainly in North London. Over 60 people have come through the doors of the London lucumi Choir, and Daniela has had to run courses for potential new members in order to prepare people keen on joining. The Choir is a Non Audition Community Choir and is run by a committee of members, The choir is reliant on the voluntary participation of the Director and it’s members. The Percussion section are top professional percussionists who have had a lot of experience in this field, and although they participate in rehearsals voluntarily they are booked as professionals for performances and workshops. Daniela comes from a musical family and was classically trained. 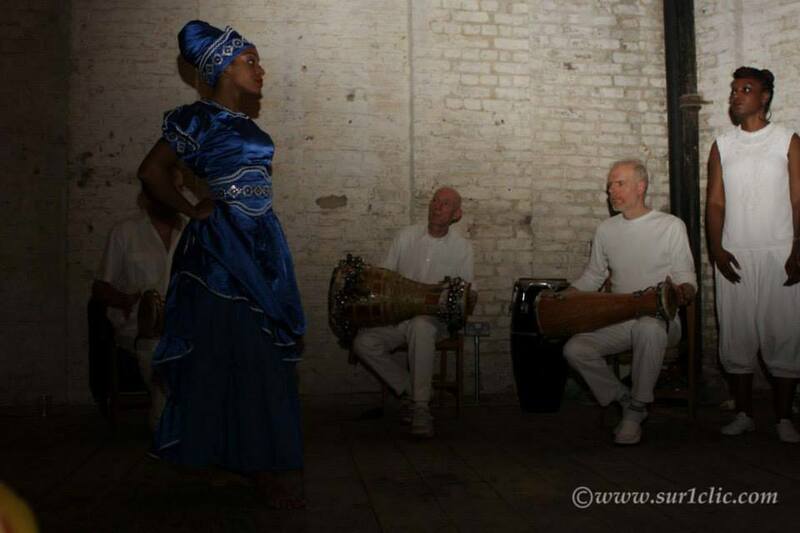 She studied West African percussion in the early 1980’s with Isaac Tagoe from Ghana and then she went to study music in the 1980’s in Cuba and fell in love with the variety and wealth of music on the island. This prompted her to form her first Salsa band in 1989 Salsa Y Aché. She has been a musician and singer, writer, and composer on the Cuban Music Scene for over twenty years and was also a dancer. Sue Steward in her book “ Salsa: Musical Heartbeat of Latin America” sites her as the first Salsa dance teacher in England in 1989. 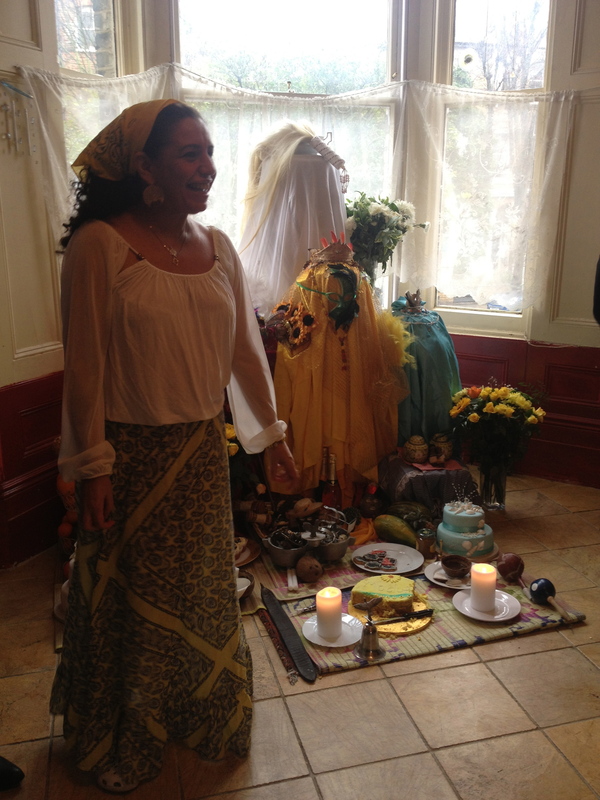 Daniela’s involvement as an initiate of the religion Santeria inspired her to hold song for the Orisha workshops with Martha Galarraga. 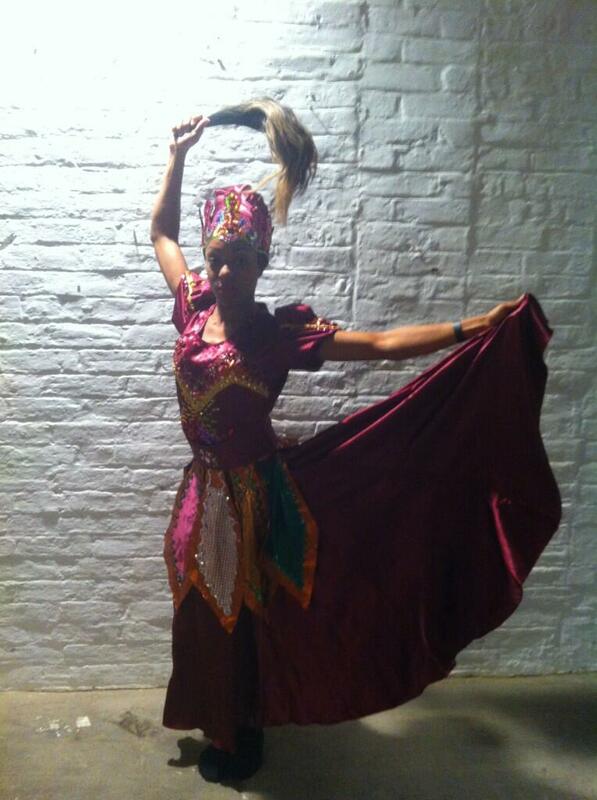 Her knowledge has come from studying with Martha and whilst singing in ceremonies in Cuba. In 2010 she spent time in Matanzas learning with Dolores Herrera, Israel Berriel, Maikel Guzmuri Rodriguez; Oscarito Rodriguez Pedroso of the Cabildo Arara Sabalu. 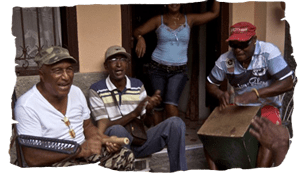 She also spent time with Galves and the Cajon Siete Potencias, studying songs from the tradition of Espiritismo of which she also is a practitioner. She gains a lot of pleasure from teaching the choir and licking them into shape; is passionate about working out harmonies and also teaches people who think they can’t sing. BILL BLAND: Bill has played all types of African, Cuban And Brasilian Percussion over the last 25 years and is a highly respected master of all styles of percussion. His passion for Bata and Orisha song is manifested in his generous study groups he has set up in Hackney over many years. He is particularly interested in Matanzas Style Bata Playing. Gerardo De Armas, who has worked with us periodically between 2009 and 2015 and was our special guest on our Lullaby for Naila launch Gig, May 2016. DANCERS: Dance has always been an important part of pour performance and we have worked with many great dancers. Currently we are working with Yolanda Perez: Yolanda had an amazing training in the Conjunto Folklorico De Cuba, but is a versatile dancer dancing both Traditional and Popular Cuban Dance in addition to contemporary dance. Collaborations: The Choir have worked with dancers, with story telling and visuals and have collaborated also with Composers. The Choir is always interested in working in new and exciting ways and looks forward to what is in store in the future. Jacob V Joyce Story Teller for Ghost Hostings and Survival Guides. Hannah Anderson-Ricketts and Ffion Campbell-Davies dance for Oshun for Survival Guides.